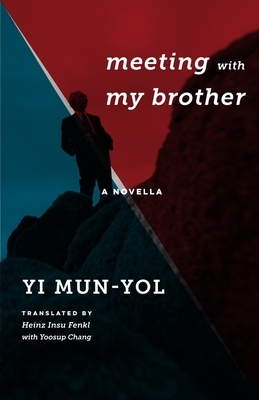 Yi Mun-yol's Meeting with My Brother is narrated by a middle-aged South Korean professor, also named Yi, whose father abandoned his family and defected to the North at the outbreak of the Korean War. Many years later, despite having spent most of his life under a cloud of suspicion as the son of a traitor, Yi is prepared to reunite with his father. Yet before a rendezvous on the Chinese border can be arranged, his father dies. Yi then learns for the first time that he has a half-brother, whom he chooses to meet instead. As the two confront their shared legacy, their encounter takes a surprising turn. Meeting with My Brother represents the political and psychological complexity of Koreans on both sides of the border, offering a complex yet poignant perspective on the divisions between the two countries. Through a series of charged conversations, Yi explores the nuances of reunification, both political and personal. This semiautobiographical account draws on Yi's own experience of growing up with an absent father who defected to the North and the stigma of family disloyalty. First published in Korea in 1994, Meeting with My Brother is a moving and illuminating portrait of the relationships sundered by one of the world's starkest barriers. Yi Mun-yol was born in 1948 and is one of the most prominent and socially significant literary figures of post-1980s Korea. He has written more than twenty novels, as well as six volumes of short fiction, and has won every major literary award in South Korea. Heinz Insu Fenkl is a professor of English and Asian studies at SUNY, New Paltz. He is author of the novel Memories of My Ghost Brother (1996) and translator of Cho Oh-Hyun's For Nirvana: 108 Zen Sijo Poems (Columbia, 2016).